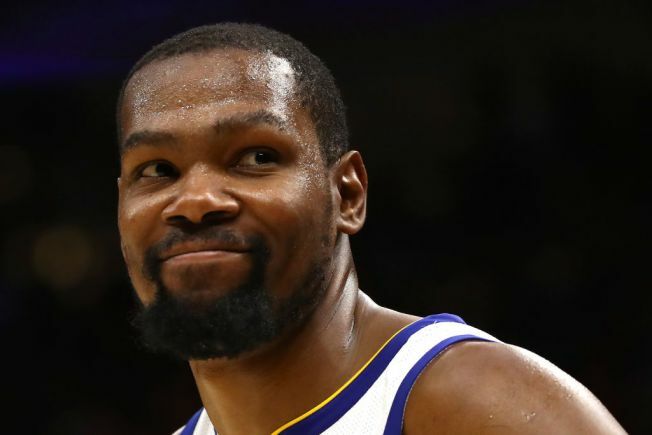 San Francisco Mayor London Breed has partnered with the Kevin Durant Charity Foundation to increase access to basketball facilities and open spaces for underprivileged youth and their families in two San Francisco neighborhoods, the mayor's office announced Tuesday. The public-private partnership is part of Breed's HOPE SF initiative in the San Francisco neighborhoods of Bayview and Hunters Point. The initiative will also work to rehabilitate and rebuild a total of 2,500 housing units into "vibrant, inclusive, mixed-income communities without displacement of original residents," according to a statement from the mayor's office. "I grew up in public housing that desperately needed to be rehabilitated, which is why I am a strong supporter of HOPE SF," Breed said. "This partnership with Kevin Durant and local organizations will help support our efforts to create safe, high-quality open spaces for generations to come." The city has invested an initial $86 million in the HOPE SF Hunters View community and KDCF has committed the financial resources necessary to rebuild the Youth Park basketball courts. The initiative was announced today at the re-opening of the Youth Park Court, which was a gift from the KDCP, Good Tidings Foundation, Alaska Airlines, and the San Francisco Foundation.